Just two weeks to go in my YAYOM (You Are Your Own Muse ) workshop with the amazing photographer Vivienne McMaster. Really, really don’t want the class to end. Vivienne and my fellow students/muses have been so inspiring; such talented, beautiful photographers. I feel so honored to have met them. I feel their presence everywhere I go. 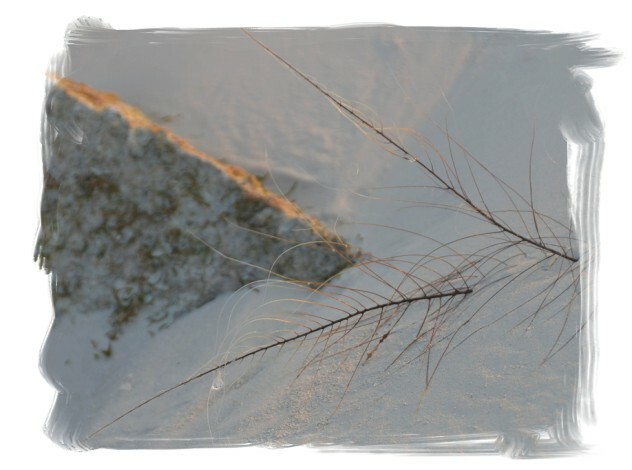 Here is a bit of beach flora that reminded me of the eyelashes of one of my fellow students…the light was a double bonus. All Half Century Mark visitors will be encouraged to learn new things, follow the light, and make new friends. YAYOM! thanks, Deb. Ya-Yom's to thank for the banner! it's like "Tawanda" from Fried Green Tomatoes! YAYOM!that picture of you in the banner is absolutely divine! !